How to Survive When You're the "Little Guy"
In a society where everything is about convenience, where everyone wants the “one stop shop”, when our local hardware/automotive store is now carrying groceries, how does the small “ma and pa” stores survive up against the big box stores? Well, when you are a small discount or dollar store you can either go out and purchase a 25 000 square foot store to do it or you fight the fight you can win not the fight you will lose. The fight you can win when you are the “little guy” is by knowing your competition. The saying “keep your friends close and your enemies closer” rings true in retail these days. Meaning, you MUST know what your competitors are doing or more to the point what they are not doing. In the discount industry an area the “big guy” doesn’t touch is going deeper into the party category by carrying age specific items. If you are the “little guy” you need to sit up and listen to this, this will increase your sales, it has incredible margin. Age 30, 40, 50, 60, and up to 100, should become a part of your store – EVERYDAY. These are “milestones” that the discount market does not focus on. People want these items and they are not price sensitive when purchasing them – they will buy napkins for $3.99 – they will spend at least $25-$40 dollars on an age specific category without thinking twice about it, after all these ages only come once in a person’s life and they want to celebrate them, so make sure you have the product on hand. You also have huge opportunity with wedding, anniversary, baby, and baby shower, for the same reason. Is there a wedding store near your business? You have the ability to hook up with different suppliers in this category and can have discount product plus higher end merchandise. The same holds true for anniversary – focus on 25th & 50th. With baby, your focus should be new baby and baby shower – pink, blue, and neutral. Your customers will spend their money on these events, so have a decent selection in your store every day. People are busy they want convenience, a quick fix. When it comes to gift wrapping the gift bags, tissue paper and curly ribbon are the solution. But be careful when you buy gift bags as a closeout because I have seen companies that have been out of business for 10 plus years, yet their product is still in the stores – this is absolutely insane and it’s a waste of valuable retail space. The gift bad category can be a draw to your business, making you a destination, but you need to keep up with the fashion and trends so that you are a destination. You should be looking at suppliers that are trend, fashion, and season oriented – challenge your suppliers. Ask questions. 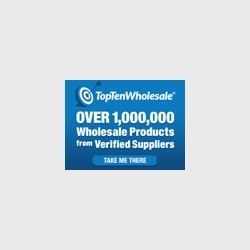 Get the top skus and best sellers. Find out what’s hot and what’s not. Don’t waste your time, money or your retail space on product that is only going to sit there and collect dust. Another great and simple idea is nationally advertised products. Such as confectionary, one example is the Topps Ring Pops – you know the candy, it’s the huge ring kids can wear and the “diamond” is a candy. The reason I like to talk about this product is the fact that it is advertised regularly on television. This is a product that has been imbedded into kids’ brains so why not capitalize on it. Why not use this free advertising to benefit you – put this product in your store. How about tictacs or Reese peanut butter cups – both products are featured nationally right now – get them into your store! I can’t say it enough capitalize on the fact that someone else is doing the advertising on products you sell; let them spend the money and you can benefit by it. When it comes to chocolate bars and gum – this is an impulse item. No one drives to your store specifically to get these, but when the customer sees their “brand” in your store they will buy it – this is impulse and the impulse buy increases your sales. Your store should have chocolate bars and gum in a section with a planogram and should be kept clean, fresh, and maintained. How do we get these planograms? The answer is easy - gum and chocolate bar companies’ work together, and they will provide you with a planogram that will work specifically for you in your demographic area – your province, state, country. They want to see your success – they need your success for their success! They have turned this into a science – they understand it. They spend millions of dollars in studies and in advertising, so take advantage of it – don’t let it slip through your fingers. The same holds true for the pop and chip industry. You have to become more educated and knowledgeable in these areas. You have to pay attention to what is being advertised, to whom and when, so you can carry these products and become a true buyer of nationally advertised items. The reason why some retailers are out living others is because the successful business owners are changing. You have to wake up; you have to adapt to your market; you have to change your business model; you have to change the way you are thinking. Change should be the constant in your business to keep things fresh and make customers want to return to your store so they don’t miss out on what is new and so you truly do become a destination for them. My name is John Caney, aka Doctor Retail. Feel free to contact the magazine if you want to see something in particular or if there is something you want more information about. I am the Doctor and I am here to help you breathe life back into your business.